Christmas is only a few weeks away and what better time to brush up on our knowledge of Christianity’s leading man. HISTORY’s latest documentary series, Robert Powell on The Real Jesus of Nazareth, offers exactly this. For Christmas 2017, the series separates the man from the myth to reveal a story even more interesting than what the Bible depicts. Everybody knows the story of Jesus Christ, as written in the New Testament. Born to the Virgin Mary in a barn in Bethlehem and raised in Mary and Joseph’s hometown of Nazareth, Christ’s preachings became the early basis for Christianity. How much of what the world knows about Jesus is fact and how much is fiction? 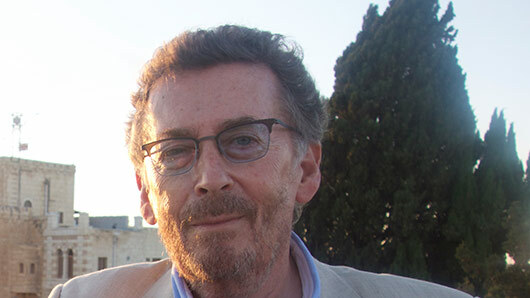 Robert Powell, the actor famous for his portrayal of Jesus in the 1977 film Jesus of Nazareth, is on a mission to uncover the truth. As we learn a more likely account of Jesus’s early life, his story grows further and further from the picturesque gospel accounts. By all accounts, King Herod was a ruthless man – but could he really have sanctioned the murders of innocent children? Israel in the years following Herod’s death was frequented by political unrest – could this turbulent period have shaped Jesus’s radical beliefs? What about the presence of a town living life to the excess, Sepphoris, only four miles from Jesus’s struggling home of Nazareth? The wonderful thing about Robert Powell on The Real Jesus of Nazareth is that the truth is far more interesting than the fiction. Robert Powell on The Real Jesus of Nazareth taps into genuine curiosity about the real life of Jesus. Powell is an enthusiastic host, armed with plenty of questions on the man who made him famous. The answers, provided by architects, historians and other experts, are truly fascinating. Robert Powell on The Real Jesus of Nazareth airs on HISTORY tonight (Friday, December 8) at 9pm.